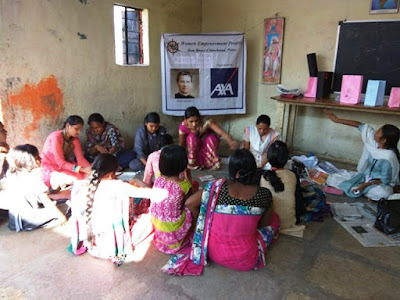 28th January 2017, Chinchwad (Pune): Don Bosco organized two days training on 27th -28th January 2017 on Paper Bag making for 30 women from slums of Chinchwad. 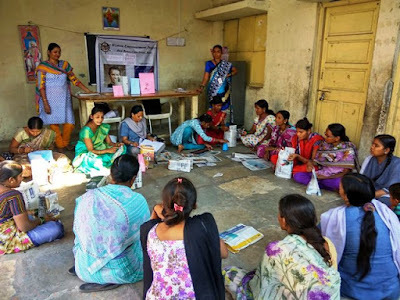 The programme not only helped women in learning production skills but also in understanding the basics of business and develop right attitude for becoming an entrepreneur. Mrs. Utpala Ganesh Jadhav was the resource person for the training. This workshop was part of the joint project run by Don Bosco and AXA Business Services. 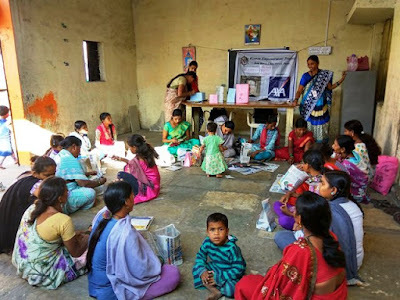 Four types of bag making were taught- Shopping mall Bag, Samosa packing bag, Medicine bag, general grocery bag. She also taught how small investment in this business can help them in income generation as this product is in great demand. The training programme was well received by the ladies and many of them promised to try this business with little capital. This was their first step in the way of starting micro business and raise their family income.